Looking for all the world like a 4/5 scale CB750, the Honda CB400F to me represents a serious bargain in classic bike ownership. Various Japanese twins might be cheaper, but those really seem to be aping the classic British Nortons, Triumphs, and BSA’s. Honda’s fours were definitely doing their own thing, and doing it well. 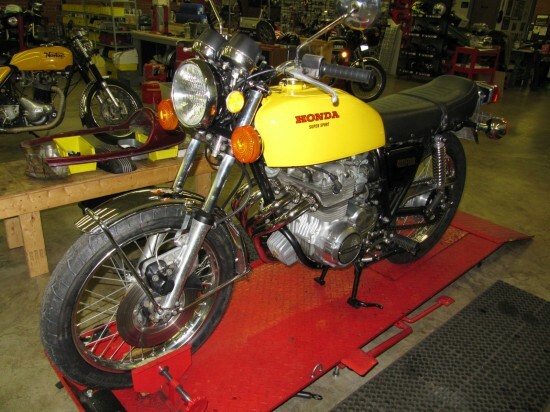 Honda’s original four-cylinder bike, the CB750 was introduced in 1969 and the design led to a whole range of machines: a 350, a 500, a 550, and the 400. 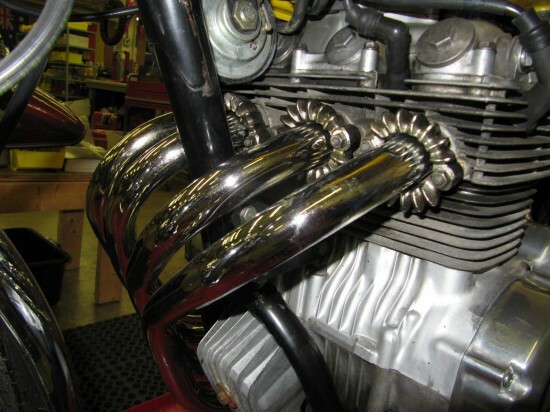 Made between 1975-1977, 408cc motor found in the 400F was backed up by a relatively rare outside of racing, six-speed gearbox, and the beautiful headers remain a work of art. The Hondas were pricier and heavier than the bikes they were pitched against, but were smooth, reliable, and stable. This one looks to be a great example in well-cared-for condition, although the over-exposed photos don’t really show it off to the best effect: these are great-looking, classic machines in the flesh. 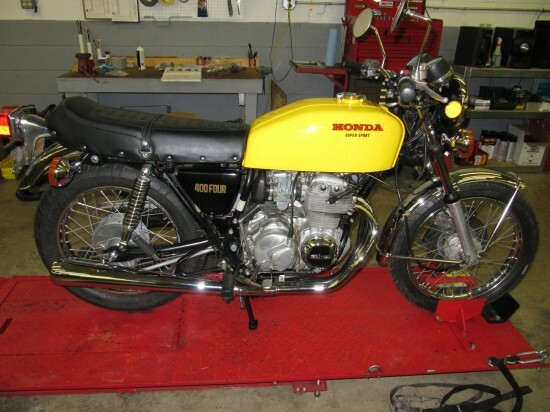 Beautiful Classic 1975 Honda CB400F, SOHC 408cc inline four cylinder motor, 6 speed gearbox, 8650 miles. Great looking and running factory cafe racing style bike, original Parakeet yellow color, (recently professionally painted and clear coated), original four into one factory exhaust, great polished aluminum and chrome, new Michelin Pilot Activ tires, electric and kick start, new seat, front fender, chrome gas cap and points cover from David Silver Spares. 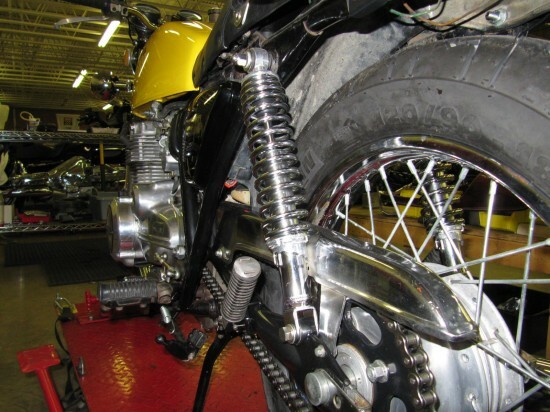 Just tuned up and tweaked by International Motorbikes of Hickory, NC. 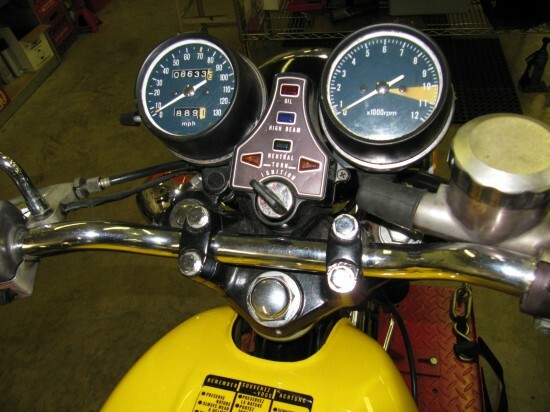 This bike is dependable, gorgeous, and ready to go with 60 plus MPG! Title and shop manual included. It seems like these are still undervalued, compared to the 750’s. They were the refined choice at the time: in an era of one and two-cylinder middleweights, the 400 offered unparalleled specification. In a number of ways, they’re actually more sophisticated than their bigger brothers: 4-into-1 exhaust, 6-speed transmission compared to the 750’s conventional dual exhaust and five-speed. These have begun to escalate in value, but are still available for a relative song, and parts are readily available, making this great for collectors who want something they can actually ride, not just show. The bidding ended at $3350.